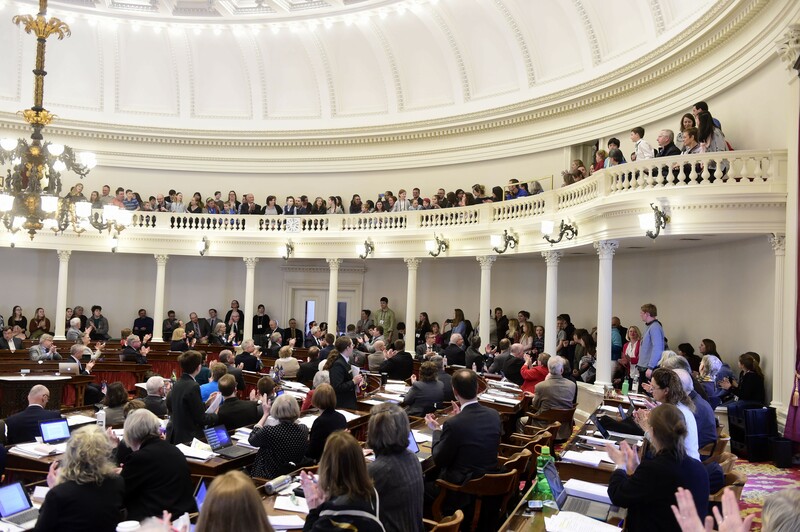 More than 70 Vermont students who completed the 2018 Good Citizen Challenge gathered at the Statehouse in Montpelier on March 27 to be recognized for their accomplishment. The Challenge invited K-12 students to earn points by doing a variety of activities related to civics, history, advocacy and media literacy — all crucial elements of being an informed citizen. These activities included attending city council meetings, picking up litter, reading local news articles, writing a letter to an elected official and naming the five freedoms specified in the First Amendment to the U.S. Constitution. Seven Days and Kids VT organized the initiative, with support from the Vermont Community Foundation. Its goal? To incentivize youth to educate themselves about the rights and responsibilities of citizenship, using their communities as a classroom. Students finished the Challenge by earning 251 points, the number of towns in Vermont. The Statehouse event was part of their reward. The Good Citizens met with Governor Phil Scott in his ceremonial office and posed for a group photo. Speaker of the House Mitzi Johnson also addressed the group. Speaker of the House Mitzi Johnson (D-South Hero) also addressed the group. Representative Peter Conlon (D-Cornwall) introduced the students from the House chamber floor; legislators gave them a round of applause. Afterward, each student received a medal, a T-shirt, a sticker and a pocket-sized U.S. Constitution, donated by Phoenix Books. Legislators applauded the Good Citizens from the House floor. Find more information and sign up to receive updates about the 2019 Good Citizen Challenge at goodcitizenvt.com. 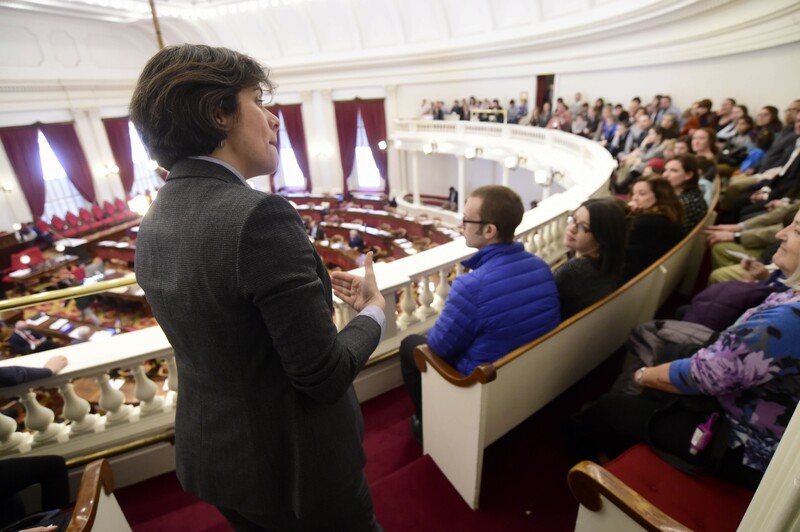 The Statehouse event is the subject of the April 4 episode of Eva Sollberger’s “Stuck in Vermont” web video series. Find it at sevendaysvt.com. Other Challenge partners included: Front Porch Forum, the Young Writers’ Project, Vermont State Parks and Historic Sites, GameTheory, Phoenix Books and the Winooski Peace Initiative.